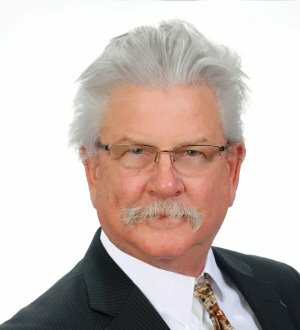 As the leader of the Firm's Bankruptcy/Debtor-Credit practice, Louis Phillips provides legal representation and consultation for debtors, creditors, and trustees over a broad practice area, including transaction and business structuring and restructuring, bankruptcy reorganization, and bankruptcy and commercial litigation. He tries civil cases (judge and jury) in state and federal courts, and has handled matters before the Fifth Circuit Court of Appeals. Additionally, Louis represents debtors, debtors-in-possession, and creditors in Chapter 11 cases, borrowers and lenders in loan restructuring and workouts, and entities of all types in all practice areas of bankruptcy cases and proceedings. Louis serves as the permanent chair of the annual Bankruptcy Law Seminar sponsored by the Louisiana State University Center for Continuing Professional Development, a program he developed in 1995. He has taught educational programs on bankruptcy law for state judges, and has been an Adjunct Professor of Law at LSU Law School since 1988. He is a contributing editor to the Norton Bankruptcy Law and Practice 2nd, and is the author of numerous articles for law reviews and other periodicals. He is also a frequent speaker and writer for legal education seminars across the country sponsored by such esteemed groups as Stetson University College of Law, University of Missouri-Kansas City School of Law, Texas Tech School of Law, Norton Institutes on Bankruptcy Law, American Bankruptcy Institute, National Association of Bankruptcy Trustees, National Association of Chapter 13 Trustees, Mississippi Bankruptcy Conference, Bankruptcy Law Institute, and the American Bar Association as well as numerous federal district bar associations and those of the states of Louisiana, Ohio, Oregon, Tennessee, Washington and Wisconsin. Among his many other speaking engagements, are lectures to the National Association of Attorneys General, Association of Consumer Bankruptcy Attorneys, and VISA International. From 1988 - 2002, Louis served as the U.S. Bankruptcy Judge for the Middle District of Louisiana. During his tenure, he authored numerous opinions of first impression of Louisiana state law and bankruptcy law, and was the author of a number of opinions that ultimately were adopted by the Fifth Circuit and other courts as the law of those courts. He also presided over the first conversion to a totally electronic filing and docketing system within the Federal Courts of the United States. James A. Rhodes State College, B.A.